Today I’m going to tell you all about The Sulwhasoo Overnight Vitalizing Mask, but first, since we’re on the subject of sleeping packs, I need to get some sleep-related thoughts off my chest. I recently read an article on Buzzfeed or Refinery29 or something of that ilk – it was a list of things people should stop doing after the age of 30. One of those items was sleeping late on Saturday, with the reason being that after 30, we should be getting up early to do important life things. The article in general was annoying and judgmental, but that item in particular felt especially presumptuous. It stated that by sleeping in, I was snoozing my life away and squandering life’s rich opportunities. The thing is, my natural circadian rhythm makes me a night owl, not an early riser, and I’m okay with that. It’s never infringed on my life’s activities, though it does make waking up early during the week a bit of a drag. I look forward to Saturday all week, knowing that I’ll be able to sleep into the morning without being roused by the futuristic sounds of my iPhone alarm tone (“Silk” is my alarm tone of choice, BTW). I think it’s really great that early risers find joy and fulfillment in their sunrise yoga, jogs at dawn, or working on their novel before the rest of the family gets out of bed, but why are they always trying to shame me for wanting to sleep in? I happen to gain fulfillment from embarking on my life’s activities being fully and completely well-rested. I always feel a bit more powerful on Saturday, when I can complete my blogging activities, run errands, and visit with friends after a full night of sleep – sleep that did not end until my body said it was time to wake up. Why you gotta be such wet blankets, early risers? Furthermore, I’ll have you know that I’m completing some very important skin restoration activities while I’m sleeping. Skin doesn’t get this radiant on 5 hours of sleep a night, folks! Of course, the sleeping packs help in that department, which brings this rant right back around to the subject of today’s review: The Sulwhasoo Overnight Vitalizing Mask. Of all the product types introduced to me via the world of Asian skincare, sleeping packs are the product revelation I appreciate most. As someone with a dry, sensitive skin type and an unabashed love of sleep, these overnight treatment creams are a kindness to my face. The Sulwhasoo Overnight Vitalizing Mask has been in regular rotation since I purchased it at the end of December, and has become an easy favorite. Sulwhasoo Overnight Vitalizing Mask ($50) is an overnight, cream style sleeping pack/mask, which promises to “reawaken skin’s natural glow,” minimize redness and irritation, and deliver moisture and antioxidants, restoring and revitalizing skin overnight. Glycerin – This sugar alcohol is a popular ingredient in skincare product for a multitude of reasons. It’s a humectant moisturizer, meaning it attracts and holds more than its weight in water, which affords a plumping, hydrating effect. It’s also been proven to increase skin elasticity, promote wound healing, and has antimicrobial properties. 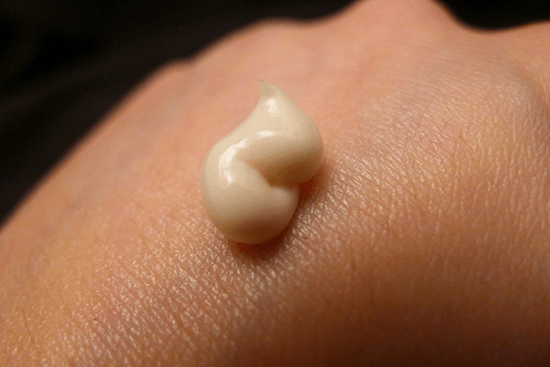 Butyrospermum Parkii (Shea) Butter – This classic skincare ingredient is one of my all time favorites! It’s anti-inflammatory, full of moisturizing essential fatty acids, and contains antioxidants in the form of Vitamins A, D, and E.
Camellia Sinensis Leaf Extract – Better known as green tea extract, this ingredient has a multitude of studies showing its benefit in the skincare world. Green tea’s active, skin-friendly component is polyphenols, which possess powerful anti-inflammatory and antioxidant properties. Panax Ginseng Root Extract – Ginseng is a fairly well documented ingredient – there are even some studies that suggest it may have some anticancer properties due to its antioxidant and anti-inflammatory effects. It’s also been shown in at least one in-vitro human study to stimulate collagen production, and has had numerous animal studies showing it to accelerate wound healing, and even reduce wrinkles caused by UV damage. Glycyrrhiza Uralensis (Licorice) Root Extract – One of my favorite skincare actives – licorice root is anti-inflammatory, anti-viral, anti-bacterial, and has skin brightening properties, making it a wonderful ingredient for acne prone skin and hyperpigmentation. Morus Alba Root Extract – The Morus Alba is better known as Mulberry. Mulberry root contains an active compound called Arbutin, a melanin-inhibitor that has been proven in multiple studies to effectively treat hyperpigmentation. A comparative study of the safety and efficacy of 75% mulberry (Morus alba) extract oil versus placebo as a topical treatment for melasma: a randomized, single-blind, placebo-controlled trial. Beta-Glucan – This is a natural compound that can be extracted from yeast, fungi, seaweed, oats, barley, rye, or wheat. There have been numerous studies conducted on its wound healing effects in animals, as well as a few studies on its efficacy on human skin. According to CosDNA, there are a couple of potential irritants and one potential acne trigger in this formula worth mentioning. Our old friend Cetearyl Alcohol makes an appearance in the bottom third of the list, still holding on to that ranking of 4 as a potential acne trigger and 3 as a potential irritant. Alcohol, which ranks as a 3 as a potential irritant, appears close to the bottom of the list. 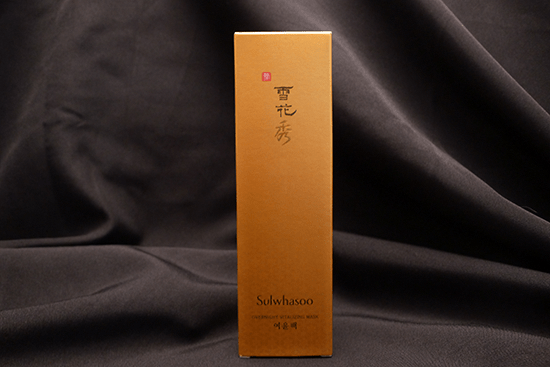 The packaging for the Sulwhasoo Overnight Vitalizing Mask is a plastic squeeze tube, which is styled to fit in nicely with the other products in the Sulwhasoo line. I’m particularly fond of the cap, which is made of plastic but has a color and finish that makes it look like lacquered wood. The dispenser is a typical opening that one might expect to find at the end of a plastic tube. 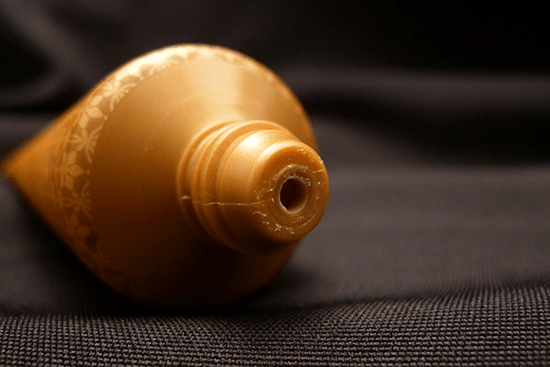 The cream itself is opaque and apricot colored. The consistency is very soft, rich, and spreadable. The Sulwhasoo Overnight Vitalizing Mask smells exactly like fresh ginger, and I love it. I wish more face products smelled like ginger. I apply a hazelnut-sized amount of Sulwhasoo Overnight Vitalizing Mask just before bedtime. I apply it on top of my other face products, which usually happens to be an hour or two after they’ve been applied. Sometimes I apply the mask on top of a moisturizer, but there are other times when I’ve just applied it over a beauty oil. The Sulwhasoo Overnight Vitalizing Mask absorbs quickly and effortlessly, but still leaves a very light, non-sticky, layer of moisture on top of my skin. That layer has usually disappeared by morning. After a night of sleep, I wash my face in the morning as usual. I should note that I am a side sleeper, and have had no issues with this or any other sleeping pack. I remember being worried about this when I first read about sleeping packs – I’d envisioned a full-on-top-of-the-skin-mask that would smear into a warm, oily pool on my pillow as I slept. If you have never tried a sleeping pack before, don’t worry. This doesn’t happen. I’ve yet to have a sleeping pack transfer to my pillow or be otherwise disturbed in any way. I’ve used this mask 2 to 3 times a week for a few months now, and each time I use it, I’ve noticed my skin looks particularly glowy in the morning when I wake up. It makes my skin feel soft and moisturized, and prevents some of the surface dryness I sometimes experience on the side of my face I tend to sleep on. Using it regularly has reduced the flaking I sometimes experience from my regular use of Tretinoin and acids, and in general, my face just looks and feels calmer, smoother, softer, and brighter. It’s worth noting that despite the brightening ingredients this mask contains, the Sulwhasoo Overnight Vitalizing Mask doesn’t seem to lighten hyperpigmentation marks on any noticeable level. Its brightening effect increases overall radiance rather than lightening individual spots. I have discovered that I am especially thankful for the Sulwhasoo Overnight Vitalizing Mask when I have had too much to drink. Confession: so far this year, there have been at least two instances when I’ve indulged in a few too many bourbons on the rocks (with a splash of soda). Luckily, even my drunk self is dedicated enough to my skincare routine that I’ll complete all the steps even if I’m a bit inebriated, but that doesn’t always stop my hangover skin from achieving the great feat of somehow being simultaneously sweaty, dull, and dry. I find that the Sulwhasoo Overnight Vitalizing Mask really takes edge off hangover skin. Yeah, it’s still sweaty, but dull and dry no longer factor into the equation. I read somewhere that the Sulwhasoo Overnight Vitalizing Mask is a good, less expensive alternative to the Sulwhasoo Concentrated Ginseng Renewing Cream. Having used both products, I have to say – if I bought this mask with the expectation that it would perform as well as the Ginseng Cream, I would be disappointed. 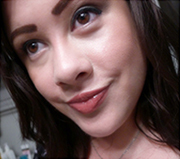 The cream is far more moisturizing, and I think the effects it had on my skin were more visibly dramatic. I do think the Sulwhasoo Overnight Vitalizing Mask is a great supplement to the cream though, and it’s also an excellent gateway product that will give you a taste of what the Ginseng Renewing Cream could potentially do for your complexion. I also think the Sulwhasoo Overnight Vitalizing Mask would work for all skin types, whereas the Ginseng Renewing Cream seems like it would be too much for oily skin. Compared to other popular sleeping packs, Sulwhasoo Overnight Vitalizing Mask is more moisturizing than the Laneige Water Sleeping Pack EX, but slightly less moisturizing than the Missha Super Aqua Cell Renew Snail Sleeping Mask. Sulwhasoo Overnight Vitalizing Mask is easily my favorite sleeping pack, and because it lasts so long and its price is more accessible than other Sulwhasoo products, I will be purchasing this again and again. 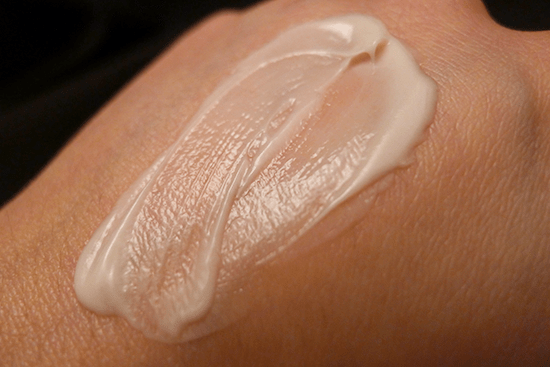 Performance: 5/5 – Moisturizing, brightening, calming, non-irritating, pleasant to apply, smells great. Ingredients: 4/5 – Packed with a slew of beneficial moisturizing, brightening, and antioxidant ingredient with just a couple of potential acne/irritation triggers at the end of the list. Packaging: 5/5 – Aesthetically pleasing, easy to use, not messy. I bought my Sulwhasoo Overnight Vitalizing Mask at W2Beauty, where it retails for $46. First time W2Beauty customers can get a $5 W2Beauty voucher by entering my sponsor code at sign-up: 025605. W2Beauty ships internationally. The Sulwhasoo Overnight Vitalizing Mask is also available at Neiman Marcus, where it retails for $50, as well as from eBay seller RubyRubyShop, where it’s currently on sale for $45. What’s your favorite sleeping pack? And more importantly, do you sleep in on Saturday (or whatever your day off happens to be)? I so, so, so want to try this. Like to the point where I was looking at pictures of it longingly earlier today (really!) Also, I love that you’re dedicated enough to skincare to remember a sleeping pack even while drunk – cheers to that! And a big booooooo to shaming late sleepers. I can do my important life things at noon, thank you very much. Hahaha! Oh man, I’m so glad I’m not the only person that looks longingly at skin care product pictures on the internet! Seriously though, I think you’d love this sleeping mask, possibly especially when drinking. Sulwahsoo is sold at Neiman Marcus? Wow! I had no clue. Your post totally prompted me to Wikipedia (lol so reliable sourcing!) about circadian rhythm disorders, and apparently there are a few different CR disorders! I always thought that I have one because I can’t sleep during hours other people do, and no matter what I do (deprive myself of sleep, sleep for weeks in a row “on a schedule”) I can’t adjust to “normal” hours. Well I just found out that’s an actual disorder! I actually believe I’ve had it for a long time, because I have always had insomnia even as a child and I’d get yelled at for never being tired at night, and never being able to wake up when I’m supposed to, but let me sleep my chosen times and I’m totally fine. You should read about it! I had no idea delayed sleep phase disorder was a real thing, so thank you for prompting me to actually look it up. I had so much trouble with my parents telling me I just wasn’t trying hard enough, but I swear I tried EVERYTHING to be like other people. I have to say I 1000% agree and sympathize with you about the morning person thing because people can be so patronizing. It’s just not natural for everyone. I always want to patronize my boyfriend for being a grampa and falling asleep early/not being able to stay up, but he can also wake up earlier than me very easily. I like nights at least. Anyway, I love to see these Sulwhasoo posts. 🙂 They’re expensive but they’re still slightly more affordable than other Hanbang brands. How long does your research take you? I envy your steadfastness. >…> I’m so lazy with ingredients. I’m really getting into sleeping masks lately so I’d love to give this one a shot. Do you use all your products up, or do you have a graveyard of zombie half-empties too? Oh wow, thanks for posting that article link! I do wish they weren’t called “disorders” though, especially the Delayed Sleep Phase Disorder (DSPD) one. I mean, if I’m still asleep and awake for the same number of hours as someone with a “normal” Circadian Rhythm, isn’t that just a different rhythm? If left to my own devices, as in, I didn’t have to be at an office in the morning, I would naturally fall asleep around 4 and wake up between 11 and noon consistently. I used to do a lot of consulting work, which meant I worked from home most of the time, and that was the easiest rhythm for me to fall into. I never felt sleep deprived or like I was missing out on anything. I was awake for most of the daytime hours, so I didn’t miss out on meetings, spending time with friends and family, or running bank errands. But I got so much work and relaxation done at night – and those hours were generally quiet and undisturbed. It was a really nice setup! But alas, I work in a world run by early risers, now. It’s not so bad, but it does mean I’m getting less sleep than I was when I was consulting (even though I was actually working more hours then). Like you, I’ve definitely tried a lot of things to be like the early risers – I feel like some of those activities made getting up earlier more bearable, but it will never feel as natural to me as my night owl tendencies. And I also like nights! As far as research goes, it really depends on the product. If the product contains a lot of ingredients I’m already familiar with or have written about, it takes less time because I already have that knowledge. For those, I’ll check every few months to see if there are any new peer reviewed studies available, but for the most part, I’m just sharing knowledge I’ve already acquired at some point. For example, many of the Sulwhasoo products have a lot of overlap in their “ingredients of interest,” so the ingredient breakdowns for those are not as time consuming anymore. For new products with new (or new to me, at least) ingredients, it takes a lot longer. I’ll usually start researching ingredients before I even start using the product, and then look everything over again and see if there are any gaps that need to be filled after I’ve used it for a few weeks. I also look for areas where any notes I took about the product usage fall short when it’s closer to time to write the review. It takes a long time though. As you already know, blogging in general is extremely time consuming. I think I post less often than most people, which is something I struggle with. In a perfect world, I would post every day, or at least every other day, but between my full time job and the time-consuming review style I’ve adopted, I think 2-3 times a week is about all I can manage. Regarding using up products – I totally have a product graveyard. I really have to love – and I mean love a product to use it all up. If a product is really awful, I’ll throw it away because I don’t wish bad skin care on anyone. But if it’s a product I liked but didn’t love, or a product I love but I somehow have too many of (this happens a lot with Missha products), my sister and my friend Steven are the lucky benefactors of these items. My sister is also my housemate, so she gets first pick. She’s pretty selective though – she’s got her own skin care stash and product preferences, so she’ll only take my hand-me-downs if they’re things she’s truly interested in. Steven is less selective – he just gets really pumped that he’s getting big bag of free, luxurious skin care products. I clean out my graveyard 2 or 3 times a year. Steven made out like a bandit with his last haul from me – it included a lot of products I actually love, but haven’t been using because I’m either testing other things, or I just had so many of those particular products that it didn’t make sense to keep them. He got a ton of Missha stuff, including a full bottle of the Time Revolution Night Ampoule, some AC Care items, the Benton Lotion, an Innisfree Oxygen mask – I don’t even remember what else. I gotta say, his skin has been looking radiant. I think it’s pretty safe to say that he’s got the best Korean skin care collection of any caucasian, mid-30s, computer engineer in the state. Possibly the country. I rarely repurchase things I try. There very few things I love so much that I repurchase them, but there are some. Maybe I should do a post on things I’ve actually repurchased. That would be a fun one! What about you? Do you have a product graveyard too? Well said. I have always been a natural night owl too and I feel like I get the most work done when everybody’s asleep and quiet. I have had many, many glorious 3am writing sessions. I feel like I’m the most healthy and productive when I get ENOUGH sleep, regardless of the time of day in which it occurs. I am an owl too and I don’t consider that to be a disorder. I am perfectly capable of staying up to 5-6 am and being concentrated and able to do my things. But since the world works so much better for early birds I usually sleep 3-4 hours per night when I have to wake up early in the morning and I just can’t go to bed early. A big thanks to all the sleeping packs and masks for keeping my skin healthy despite the sleep deprivation. This seems like such a nice product, sadly way out of my budget. Agreed! I don’t consider my sleep patterns to be a disorder either. I’ve tried really hard to set patterns that would allow me to wake up early every day, and those were the times when I felt like my life was being disrupted – not when I’ve slept when I would naturally get tired. Sometimes I feel slighted by the earlybird ways of the world, but the fact that the world works that way does have its advantages – I feel like my night owl activities go mostly uninterrupted and allow me a fair amount of quiet time. Earlybirds are always saying that they like getting up early because it’s quiet – I think I’m getting those same benefits, just a few hours before the early risers do. Not that I’m dissing early risers – I just think none of us should be shamed for our normal sleep habits. And yes! Cheers to sleeping packs and to looking well-rested! I really don’t need ANYMORE cosmetics (I don’t think the ones I have will fit in my suitcase) but this sounds really, really, really great. I think I’m going to go to the counter in the department store near my house to price it out. If it’s cheaper than what’s available online, I may just have to splurge and get myself a going away present. I have to admit, I sort of want to buy it JUST for ginger scent. I am profoundly disappointed that more skincare isn’t ginger scented, in either Asian or western skin care… Even a ginger perfume would be nice too! Elena, I also now want a ginger perfume! I really hope that’s a thing. I know Origins makes one that I used to wear years ago. It;s definitely gingery, but it’s far too spicy and has too many other layers to satisfy the need for fresh cut ginger. If you find one that just smells like ginger, please let me know! That article sounds very annoying and judgmental. I’m so sick and tired of all these ‘you should do this/you shouldn’t do that’ pieces. They are everywhere! Who are they to tell other adults how to live their lives, seriously? It’s condescending and just makes people feel bad. I agree 100%, Ida! Unfortunately, I am guilty of clicking on them every time. I think I’m hate-reading them, actually. But I still get irritated when I finally see what they have to say – I’m even annoyed if the list confirms everything I’m doing is “right” (whatever that means)! Yeah, I know, they are somehow tempting to click on. I used to do that too, but now I know how terrible they always make me feel, so I usually don’t anymore. Hi There!! Love your site, I have just found it since I needed a skin care overhaul and love reading your blog posts. Very informative. I especially like the post about your skincare routine and want to order from paulaschoice. I’ve noticed that you are able to refer friends… if you log into your account you can send a code my way for $10 off and then when my order ships you’ll get a $10 credit to your account. You should post this somewhere on your blog! Can you give me your code? I’d love a $10 discount to try the products. Thanks! So I got this and I’m obsessed. It’s SOOOOO good. I want to use it every night and slather my whole body in it. Hi Kerry! Longtime lurker, first-time commenter. This sounds like such a lovely sleeping pack. One question – do you use Retin A under this or do you skip it on the nights you use this mask? There are so many wonderful products out there and I find it hard to fit them all into my routine! Hi, I am looking for cheaper alternative for Sulwhasoo ginseng renewing cream and heard this one is as good. After reading your review, I doubt that. Do you think the effect would last long if I stop using it after (let say) 3 months? I’d like to ask you something. Did you feel your face itchy, especially on dry areas when you started using the mask ? I use it for a week now and I feel that leaves my skin irritated, the dry places I mean and I have a small break out on my chin, under the corners of my mouth (very dry skin).Also it doesn’t hydrate that part of my chin. Am I doing something wrong ? Do you think it’ll be ok to use laneige water sleeping pack and sulwhasoo overnight mask alternately? It would mean using overnight masks every single day. I’ve been using the laneige water sleeping pack on a daily basis now, even sometimes 2x a day but has not developed any side effects yet. Just wondering if i use it that often to substitute moisturizer, will it develop anything bad? I’m a master esthetician and I can’t get enough of all your great info! I have been reading your blog for like 3 days straight! . Thank you for sharing all your knowledge and product reviews. I have a list now of new products I want to try! Wow, you really put a lot of effort and research into this product!! Thanks for all that information, I like that 🙂 and I completely agree with you 100% about the sleeping in (basically everything you wrote at the beginning.